We think you guys are the best Instructors out there, the top of the top! 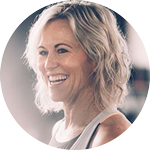 A part of this is the importance we place on ongoing education and training, which we think is key for meeting demands of the evolving health and fitness industry – as well as being an awesome Instructor. Some of your recent feedback highlighted issues around cost, convenience and accessibility when it comes to ongoing development. Therefore, we want to let you know we’ve listened to you and have implemented changes to help offer solutions to these problems. We've also made these changes to further enable Instructors to achieve greatness and work towards a fitter planet - which is what it's all about! The new name reflects exactly what they are – ways in which you can develop your skills as an Instructor and gain the right education which is most relevant to you. Now, when you log into the Instructor Portal you will be able to see your “Ongoing Development Points” status, detailing how many points you have achieved that year. You are still required to complete two Ongoing Development Points per year, per programme to remain certified to teach in that programme. Addition of Quarterly Workshop Webinars! Whilst we all love the interaction and magic of live events, we recognise that sometimes it’s just not possible to get those Saturday classes covered or drive to the next city over for a Workshop. That’s why we’re thrilled to be able to deliver the latest education straight to your laptop, you won’t even need to leave your doorstep! You will now have the option to attend a live webinar where you will be kept up to date with the latest research and tips and tricks for rocking the release. No need to cover classes or spend money for travel. Our live events will continue to evolve as we seek to deliver the most exciting and stimulating experiences for you, ensuring they are the most memorable events on your Instructor calendar! All the upcoming Quarterly Workshop dates can be found here. Don’t forget, you can also still submit a minimum of two tracks at any time for feedback, and this also counts as an Ongoing Development Point. The tracks need to be from the current or previous Release and cannot include the cool down, the alternate or bonus tracks. This is a great way of showcasing your talent and honing your skills as you receive feedback within 2 weeks from a team of Les Mills experts. Videos can be filmed during your regular classes which means minimal time and additional effort is required. These video submissions are also now unlimited! We’ve listened to feedback and recognise that Tribal Gatherings should always be fun, energetic experiences which connect Instructors through their love for the latest programme Release. We’ve decided to invest more into these events to ensure we have exciting venues, excellent audio-visual quality, insightful education and overall bigger and better experiences. These new look Tribal Gatherings will leave you feeling refreshed and confident in your teaching ready to take your career to the next level. Stay tuned for more info on the next Tribal Gathering! In the meantime check out the dates and booking dates of all Instructor events in our calendar. Everything you’ve heard about Advanced Training is true – it will absolutely revolutionise your teaching and completely change the way you think about your classes. The 2-day module has a strong focus on self-development as it explores your fitness leadership, values and beliefs. There is an emphasis on bringing your natural talents to the forefront – allowing you to teach from a place that is completely authentic. You are guaranteed to feel more fulfilled as an Instructor and derive more enjoyment from teaching classes. Even better, it also counts as two Ongoing Development Points - winner! Remember, if you completed an IMT in the past year you would have received Advanced Training as part of your training package. So if you haven't completed it yet give us a call so we can book you on and revolutionise your teaching. Find more information on Advanced Training here. Because development is so important we want to give you UNLIMITED opportunities to attend the format of your choice, as we know it’s challenging for some to make it work financially. Well, from now on you won’t have to worry about the additional costs of workshops adding up. Ongoing Development will now be £7.50 per quarter and you can take part in as much as you like. If you want to attend multiple workshops both live and online, a Tribal Gathering AND submit a video for feedback – go for it! You will still only pay one price of £7.50 per quarter for all these experiences. The cost of Releases remains at £27.50 across all programmes but this payment will now be collected with the Ongoing Development payment of £7.50, bringing the quarterly total to £35 per programme. All Instructors need to make this new quarterly payment to receive their education and consequently continue to teach their Les Mills Programme. For more information on the Quarterly Ongoing Development payment please refer to the FAQs at the bottom of this page. Why do I need to complete Ongoing Development points? We at Les Mills pride ourselves on keeping our Instructors up to date with the latest industry research and innovations in fitness. This is partly why Les Mills Instructors are recognised globally as being the best at what they do. We don't ever want this to change and will always strive to do everything we can to enable you to deliver the best experience possible for your members. It’s this “gold standard” that means you deliver life changing fitness experiences. By achieving your required two Ongoing Development Points per program, per year, we believe this will help you achieve this. All Instructors need to make the quarterly Ongoing Development payment to receive their unlimited education and remain certified. All you need to do is accept the update pop-up in the Instructor Portal when you log-in. The first payment will be taken in June, but Instructors can book onto Ongoing Development Opportunities before this. Ongoing Development Opportunities are on a first come, first served basis. Does your Club pay for you? If your club currently pays and are continuing to pay for your Releases and Ongoing Development, nothing will change. You will just need to mark event dates in your calendar and remember to book yourself a spot via the Instructor Portal. Are you a club looking for more information? Click here. What is included in the price I pay for Ongoing Development? For £7.50 per quarter, per programme you will receive access to all your Ongoing Development options. This includes Tribal Gatherings, Quarterly Workshops both live and now in webinar form, and video feedback submissions. There is no limit as to how many of these options you take advantage of, If you've paid the quarterly payment of £7.50 you can do as much as you like. We will continue to invest in ongoing development opportunities and these will always be included within your ongoing development payment. Why am I being asked to accept the Instructor Agreement when I sign into the Instructor Portal when I did this before? There are two changes to the Instructor Agreement, firstly we have changed any reference to Touchpoints to Ongoing Development Points and secondly we have included information on the new 'PAUSE' functionality which allows you to easily take a break from Instructing. What is a Quarterly Workshop Webinar? It is 45 Mins of specific Release education delivered by one of our expert Trainers with questions answered, and asked live during the webinar. There will be at least one in every programme and will include THE TRIP™. You will receive dates and times and will be able to book on as you do with live Quarterly Workshops. How will Quarterly Workshop Webinars work? We have introduced Quarterly Workshop Webinars largely due to feedback on accessibility and cost to travel to Quarterly Workshops. These new webinars will include all the great programme education you would expect from a live event. These webinars be 45 minutes and count as 1 Ongoing Development Point. What's included within the price I pay for my Releases? Your quarterly releases payment of £27.50 includes choreography, music, education, masterclass all within the releases app. This has not increased from previous years. How will these payments be made? The combined payment for Quarterly Releases and Ongoing Development of £35 per programme per quarter will be taken by either a card payment or a direct debit. This depends on the default payment method you have setup, you can check this on the Instructor Portal, ACCOUNT SETTINGS, VIEW BILLING INFO. When will this change happen and when will the payments be taken? Before this date you can still book onto Ongoing Development opportunities, which will no longer include one off transactions when booking. Can I purchase just the Release materials and not the Ongoing Development? In order to teach Les Mills you need to purchase the release materials (£27.50 per quarter) and the unlimited Ongoing Development for £7.50 a quarter. This is so we can be sure our Intructors remain at star quality and known as the best in the industry. How do I sign up to the quarterly payment of £7.50 for all ongoing development? You are automatically signed up when you certify in a new Programme. All existing certifications will be signed up unless you notify us otherwise. What if I miss a payment/card declined? Can I still get my Release? We will notify you of the failed payment and give you the opportunity to correct the situation so that you can continue with your education and receive your Les Mills Release materials. Once we close the payment run you can maintain your status by making a single payment on the Instructor Portal by purchasing the Release. How do I cancel my quarterly payment for my programme releases and Ongoing Development? You have the option to take a break by PAUSING your subscription or if you know that the change is permanent you can notify us that you wish to cancel the Programme. How do I update/change my card details? Log into your Instructor Portal Account, go to My Accounts, Account Settings, scroll down to View My Billing Info, click on the link and make any changes. Can I take a break from paying for my Releases and Ongoing Development? Yes, you can PAUSE your Certification for up to six months on the Instructor Portal and if you need a longer break you can contact us to put your subscription ON HOLD for a Programme. Some of the reasons Instructors may need to pause their Certification may be that they don’t currently have a class, that they’re injured, unable to teach due to pregnancy or other work commitments. How do I use the certification PAUSE functionality? You can now go to your certification on the Instructor Portal and Pause it to allow you to take a break for up to six months. You can resume in the same place at any time before the six months is up or we will resume automatically at the end of six months, we’ll remind you ahead of time that this is happening. By pausing your certification you will be declaring that you are not currently teaching that programme and therefore don’t need to purchase releases or take part in any ongoing development. If at the end of six months you need a bit more time away you will need to contact us to arrange that as you can only use the pause functionality once in a 12 month period. This further break will be implemented in the same way as the current on hold process. You can take a PAUSE once in a 365 day period. How many times can I take a break from paying for my releases and ongoing development? You can take a break once within a 365 day period. Can I attend both a Quarterly Workshop and Tribal Gathering in the same quarter? Yes, you can attend as many Quarterly Workshops or Tribal Gatherings as you wish. Les Mills has always promoted the value of Ongoing Development and now we are able to offer you the opportunity to do this at no further cost. Is there a maximum number of events I can attend in a Quarter/Year? There is no limit of the education you can attend / achieve, the world is your oyster when it comes to ongoing development. We are here to support your desire to be the very best Instructor you can be. My club pays for my Les Mills Releases, do I need to do anything different now? If they continue to pay, then you won't need to do anything differently to get your Les Mills Releases and access to Ongoing Education. The difference will be that in future you will book your own education via the Instructor Portal, be it a Quarterly Workshop, Tribal Gathering, Webinar or any other education you may wish to benefit from. You will do this on the same days that all Instructors book their Ongoing Development, these dates are published by Les Mills, approximately 4-6 weeks ahead of the event. 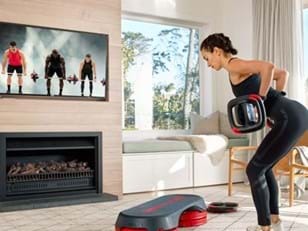 Is the cost for Ongoing Development in the LES MILLS GRIT Series the same as other programmes? Yes, the cost of Ongoing Development is the same for all programmes. How many Development Points do I need to obtain in each programme? You will need to obtain two Development Points, previously referred to as ‘Touchpoints’, each calendar year per programme. But we strongly encourage our Instructors to participate in as much education as possible. It’s all included within your payment so why not take advantage of it! I teach THE TRIP or BORN TO MOVE, but you don’t offer Quarterly Workshops or Tribal Gatherings in these programmes? Quarterly Workshops and Tribal Gatherings are just a couple of the Ongoing Development options available and each of these Programmes will offer other unique opportunities as well e.g. Feedback Videos. How do I book onto QWS/TGs now it’s included in my quarterly Ongoing Development payment of £7.50? The way you book hasn't changed. If your subscription is active you will be able to make the booking via the Instructor portal and there will be no further charge made at the time of booking. Are Tribal Gatherings still worth a Development Point in every programme I teach? Yes, provided you attend the event you will receive an Ongoing Development point in every certified programme. The sessions I want to book onto at Tribal Gatherings and Quarterly Workshops are full, is there a waiting list? Unfortunately, we aren't able to keep a waiting list for events so please keep checking back to see if space becomes available. What happens to my certification if I don’t meet the required number of Development Points in the year? We are proud of the high standards that Instructors in Les Mills Programmes are acknowledged for and to maintain this reputation it is essential that each Tribe member achieves two Ongoing Development points per programme per year. With the introduction of webinars we hope that we have made this much easier for you to achieve. If you have not achieved your two Ongoing Development points per programme per year, we will suspend the relevant certification. If you have no Ongoing Developments points, you will then need to submit a video for assessment at that stage to show that you still meet all the assessment criteria for the Programme, if you have achieved one ongoing Development point you will need to submit a two track video for feedback, and thus ensure the quality of all Instructors. Why is Advanced Training worth 2 Ongoing Development Points? How will Les Mills support me in tracking my status? Your Development Point status is available to view any time in the Les Mills Instructor Portal, just take a look at your Certifications. If I cannot attend an event, can I transfer to another one? You can book as many Ongoing Development education opportunities as you wish and are available. We do ask that you let us know if you are unable to attend so that the space can be given to another Instructor if necessary. Action will be taken against any Instructors who consistently book onto events and do not attend. Am I entitled to a refund if I cancel a Quarterly Workshop /Tribal Gathering space? No, that is part of your ongoing development payment of £7.50 per quarter. Remember, you need to obtain 2 Ongoing Development points per year, per programme to uphold your certification. 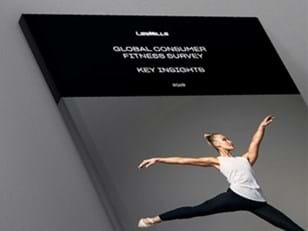 If Les Mills cancels my Quarterly Workshop what happens to my Ongoing Development Points? You are required to attend the event to get the Ongoing Development Points, therefore if the event is cancelled you will need to take advantage of a different Ongoing Development opportunity. Les Mills makes every effort to ensure that this is kept to a minimum and is usually due to unforeseen circumstances. I require both covers and original releases, how much does this cost me? This would require a second kit, whether original or PPL Free, which is charged at £25, back Releases are also charged at £25 which is a decrease from previous years. Please note this price is only applicable to additional Releases of the same programme. Where can I access the Yearly Planner? Is there a minimum number of tracks you require for Feedback assessment video? The feedback is based on a minimum of two tracks of your choice from the current or previous Release. The tracks you submit for feedback need to be from the current Release or previous Release and cannot include the cool down, the alternate or bonus tracks. Can I still submit to become ELITE and gain a Development Point? We are continuing to offer this opportunity to anyone who attend AIM2 until 30 June 2019. Will my Advanced Training be included in the Ongoing Development quarterly payment of £7.50? No, Advanced Training is not part of this package but you can purchase this amazing experience separately. If you purchased an IMT within the past year, Advanced Training would have been included in this. If you still haven't completed Advanced Training please give us a call to book. How can I connect with the Tribe?